The brand-new trading cards for SOLITUNE are accompanied by backgrounds, icons and badges - get them now on Steam! Disclaimer: the game was once known as SOLITUDE, but as this infringed some non-released game's trademark, we changed its name to SOLITUNE. 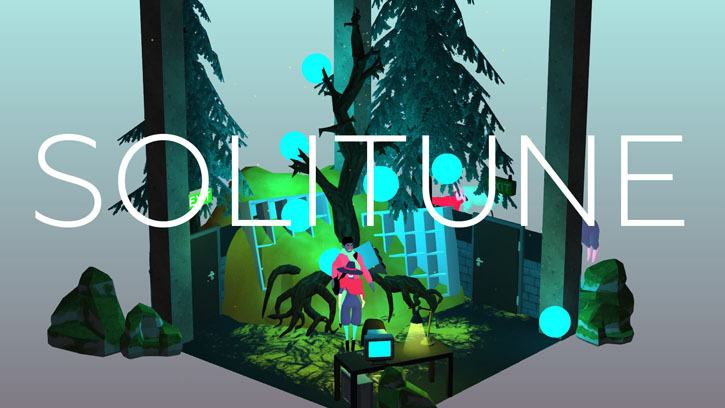 Today we release a new Rat King game called SOLITUNE. In the game you are leaving your day-to-day office job to become a shepherd. On your way out you meet a bunch of characters that are tangled up with their own issues. In order to progress you have to free them and hear their story. In exchange for your attention they will follow you further as sheep. 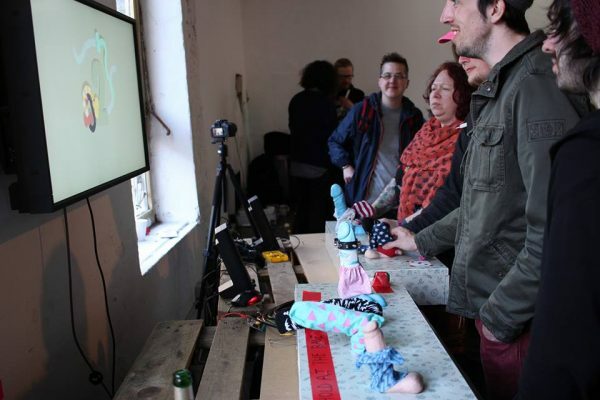 It's a very personal and small art game I created over the last month(s) together with Friedrich. 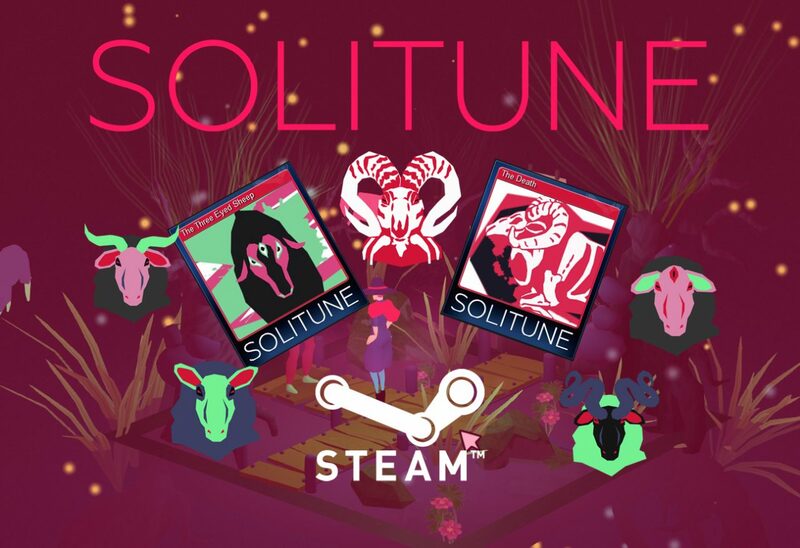 I'm glad we were able to create SOLITUNE. 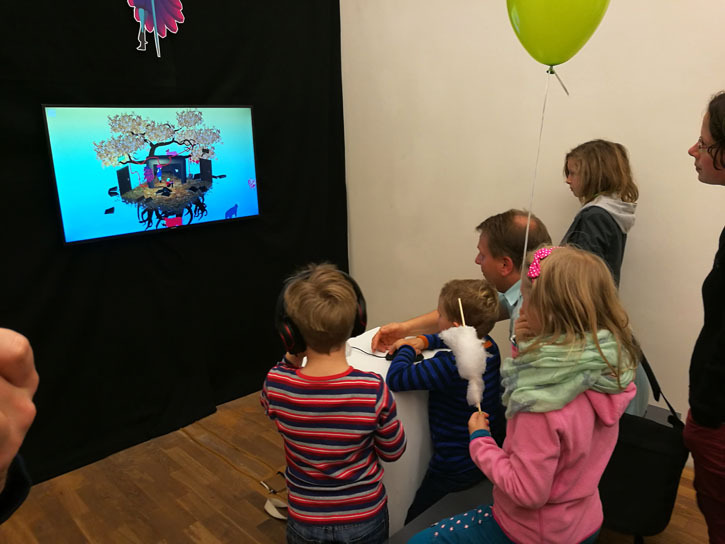 Thanks to the funding of the Kunststiftung Sachsen-Anhalt we could effort to spend time with a non-commercial game idea. Sure, it does cost a capitalist bunch of $2, but it's more of a tip for playing the game. As a developer I was more free to do something personal without having sales numbers or a specific audience in mind. Why shepherding after all? That's a long story: when you get disappointed with things in your life, you start developing escapist fantasies. I'm sure everyone has at least one idea what they would love to do. Shepherding is not really my secret game industry exit plan. I know it's a hard job. I know you can't go on vacations, or that you have no weekends and have to get up early in the morning. Through two amazing books I learned quite a lot about being a shepherd. The first one is the very fun and curious "Schlepping Through the Alps" by Sam Apple about the Austrian wandering shepherd Hans Breuer. The second one is the wonderful "A Shepherd's Life" by James Rebanks. Rebanks is a tweeting British shepherd from the Lake District who could easily be the tourist attraction for the region. And he was my starting point to this project. Having those rough-romantic scenes with fluffy herdwicks (the kind of sheep he is attending to) in my timeline between all the indiepocalypse postings felt like an oasis. They remind me of my home village and the local shepherding family. And the sense of calmness that overcomes me when I'm driving by a sheep herd. Shepherds are symbols for so many things and emotions: hard, honest work. An existence close to nature. (Can you imagine sheep raised like pigs?) A pure anachronism, to spend your time guiding sheep in times of robots, mass animal farming and automation. Not to forget: the Christian symbol of guidance and help. On one of our cycling tours we coincidentally met a shepherd with his herd - Martin Winz. Not so coincidentally when you know that the family is responsible for the nature reserve area 'Franzigmark' near Halle. 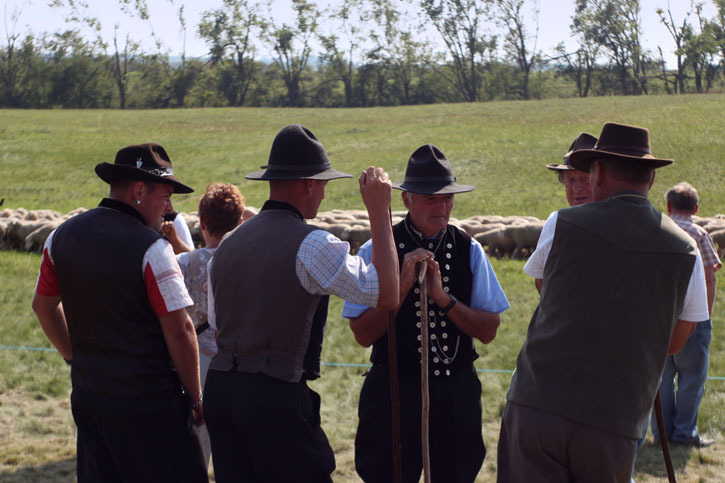 He guided us to the often held shepherding championships in Morl, near Halle. 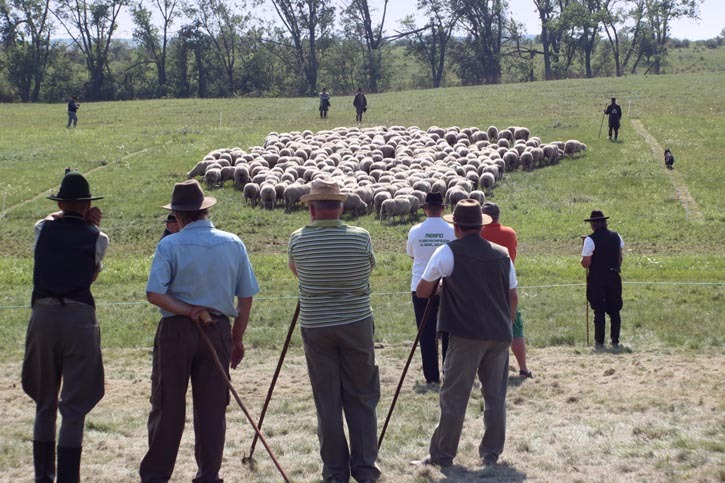 It's a meetup of regional shepherds, visitors and students of the shepherding class - Germany has only two of them and one is located in Halle. I'm not a big fan of folk festivals, but should you ever have the chance to attend a shepherding contest, go there! Even though we so absolutely looked like outsiders, people were friendly and open to answer all the questions we had. Why do I point this out? Well, shepherding is - probably like every other profession - a bit elitist. 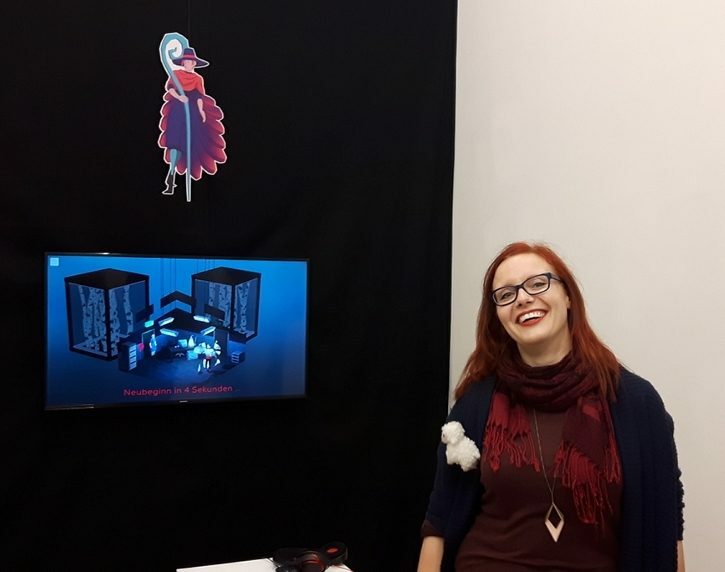 The 'fake geek girl' of the computer games industry comes to my mind from my own scene. Here everyone has a shepherd's staff and hat as a symbol of being part of the scene - a trained professional with their own herd and two dogs. Character Design: In Morl I got so much input! I found my game concept growing between the point where I started from - cheesy shepherd romance - to mere simulation, to get all the information I collected showcased somehow. In the end I did something in-between. My shepherd is more of a symbol for guidance and "being on your own" now. 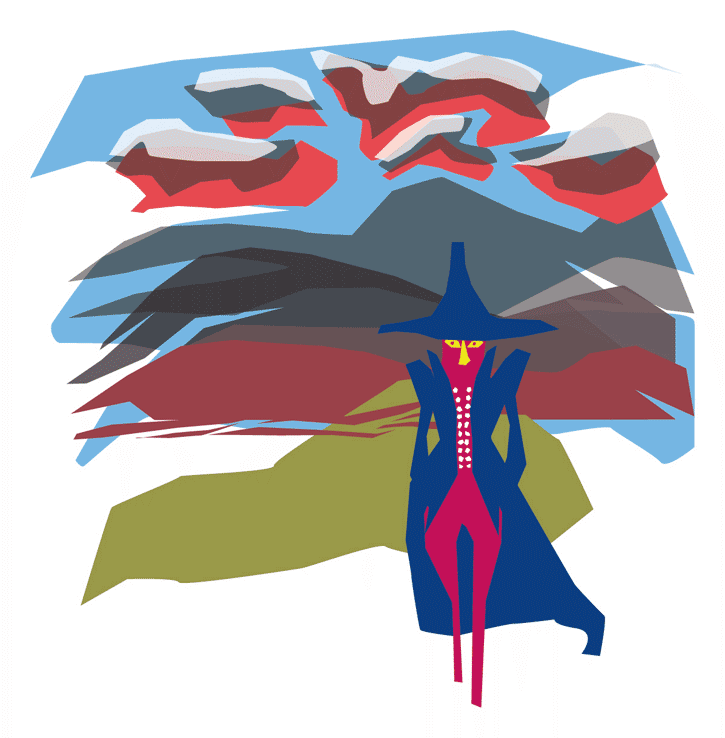 And he became female, which is only logical considering that SOLITUNE is a very personal game. First I planned to have an old, grumpy shepherd, a stereotype I have in mind when thinking about shepherds. The reason is the old shepherd in my village. Though in hindsight he had any right to be like this. We were annoying little kids, destroying old trees by using them for climbing and my dog wasn't well trained at all when we collided with his herd. But that's a whole different story. In Morl I met a class of shepherd apprentices (all of them girls) who made me change the character completely. The Others: Another idea I had early on was that the shepherd's herd would consist of humans. He would leave everything behind, also in part because he was annoyed by humans. But when finding lost ones on his way he couldn't help but take them with him. Every character is a stereotype in his own way. Partly I'm annoyed by this kind of people, but I'm sure they are also part of myself. All of them are somehow hidden or occupied and you have to solve a puzzle in every room to free them, and then let them talk. If they always know that they will become a sheep is up to your interpretation. The same goes for the shepherds intentions - I think if his intentions are positive or not are mostly up to you, though I have my own motive in mind, of course. Perspective: In most cases my game ideas are fleshed out pretty quick, but I quarreled with the perspective or point of view for the player. At first I wanted to create an open-world-like scenery, where you can freely roam to explore and find your future sheep. But as so many indie games used this kind of game style or at least I played a lot of them, I decided I wouldn't want to make just another colorful wood exploration game. My second approach was a third-person view, where you would walk through offices that got weirder. I skipped this one, because you could never really see all the sheep at once or have any sense of progression. I think it was Friedrich's suggestion to keep the same office and only change it slightly by walking in and out. Moreover do we both love the diorama style very much, with the dollhouse overview - which is also perfect to see all your sheep at once. Programming: The programming was done by Friedrich. He used Unity from the start. Our biggest problem, something you might underestimate with such a small project, was the pathfinding. 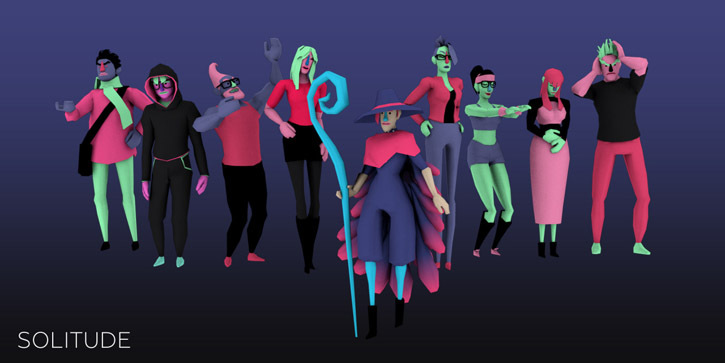 A number of moving characters that in best case don't run into each other needs a good pathfinding system with dynamic navmeshes and local avoidance and so on. Expecting to need a more flexible system than Unity's in-built one, Friedrich used A* Pathfinding Project by Aaron Greenberg. Unfortunately downloading and implementing an asset seldomly works right out of the box, and this one offers quite a few parameters to tweak. Music: As for most of our games, Ludwig 'KingLudi' Hanisch created an amazingly atmospheric soundtrack for SOLITUNE, too. We closely developed the mood for every room together. 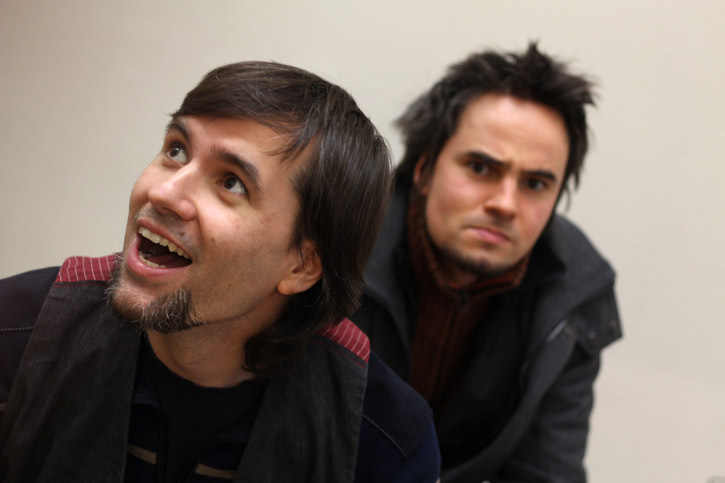 I would tell him what the character or room is about and in return Ludi created a song. You can purchase the complete album via Bandcamp or by adding $2.50 to the game purchase on Itch.io. 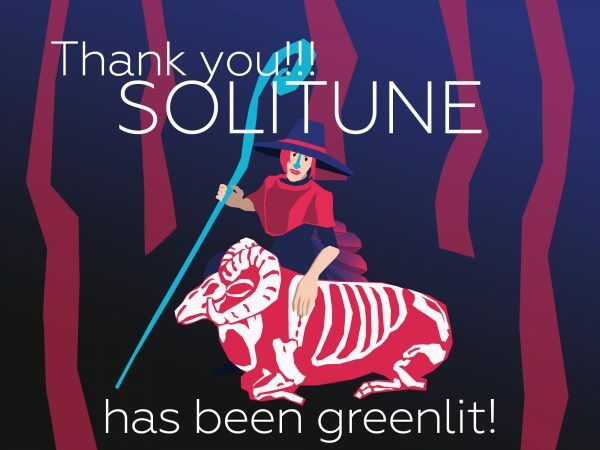 Tell me how you liked the game and what you think about the intentions of SOLITUNE's shepherd!